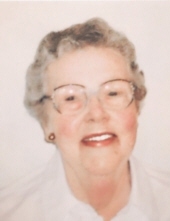 Barbara Jane Watson, 94, of Westminster, died April 12 at Carroll Lutheran Village. She was a resident of Carroll Lutheran Village since 2004. She was born October 8, 1924, in Brooklyn, New York, the daughter of Aurelia and Hans Nielsen. Surviving are a son, Ripley Watson III and his wife Regina Romeu-Watson of Towson, a daughter, Joann Viola and her husband Joseph Viola of Palmyra, N.J., granddaughters Sylvie Viola and Cristina Watson, and a cousin, Hobart Hansen, of Winchester, Va. She was predeceased in 2008 by Ripley Watson Jr., her husband of 61 years, and in 2006 by grandson Nicholas Ripley Watson. Throughout her life she was devoted to her family with limitless love, kindness, patience and compassion. Outside the home, she worked in telephone business and educational offices. She was a graduate of Centenary College and Katharine Gibbs School. The family requests donations to the Carroll Lutheran Village Scholarship Fund. 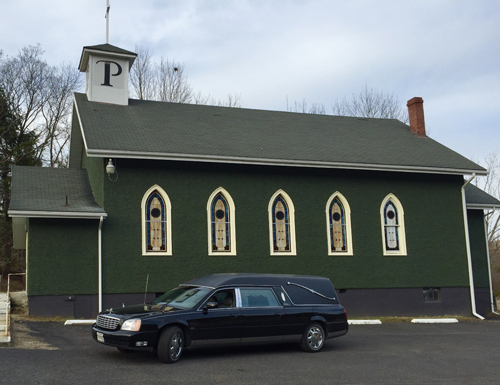 Arrangements were made by Pritts Funeral Home. To send flowers or a remembrance gift to the family of Barbara Jane Watson, please visit our Tribute Store. "Email Address" would like to share the life celebration of Barbara Jane Watson. Click on the "link" to go to share a favorite memory or leave a condolence message for the family.